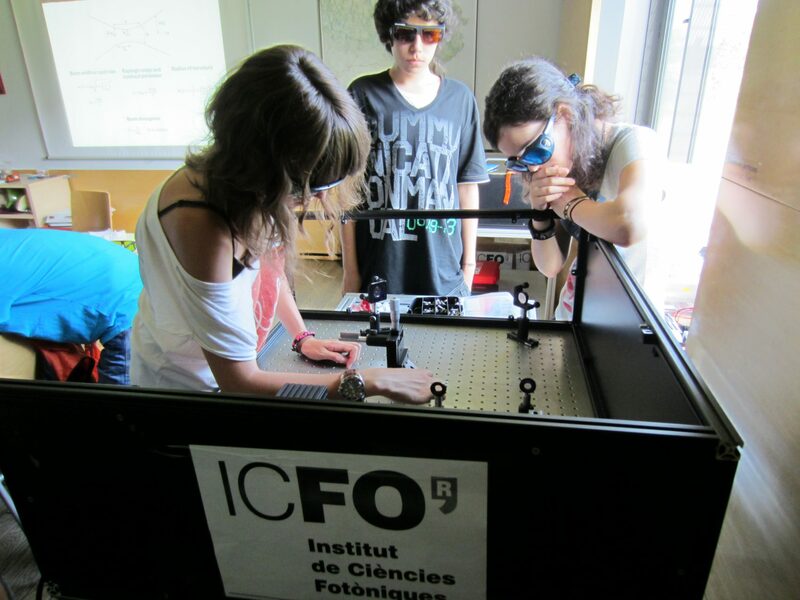 In order to promote science and foster research careers in exceptionally talented young students, ICFO hosts various internship programs, offering the opportunity for involvement in research life, which often constitutes a student’s first experience in a research project at the very frontier of science in optics and photonics. We have several programs directed to different ages. ICFO participates in the Youth and Science program (Joves i Ciència/ E2C3) sponsored by Fundació Catalunya-La Pedrera. ICFO also collaborates with the International Baccalaureate® studies, CiMs+CELLEX. In this context, ICFO hosts stays of “Joves i Ciència” and “CiMs+CELLEX” fellows as well as of participants of the “BIYSC-Barcelona International Youth Science Challenge” program during the summer period, allowing students to experience the daily life of researchers working at the very frontier of science. ICFO’s Summer Fellows program provides a unique opportunity to carry out a challenging research project in one of the topics active at ICFO. The program, supported by the Fundació Catalunya – La Pedrera · Ignacio Cirac Program Chair, aims at giving outstanding students early exposure to frontier science and research. For more information, click here.